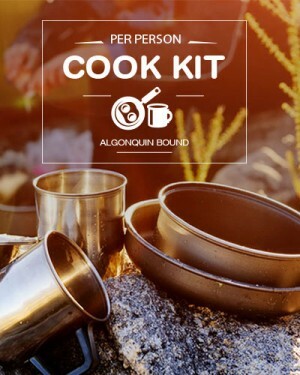 Our cook kits include all the necessary pots, pans, plates and cutlery needed to cook those classic backcountry meals that are the cornerstone of every camping trip. Whether you are only interested in an overnight trip next to the Highway 60 corridor or plan to explore deep into the park interior, this lightweight package will not weigh you down. 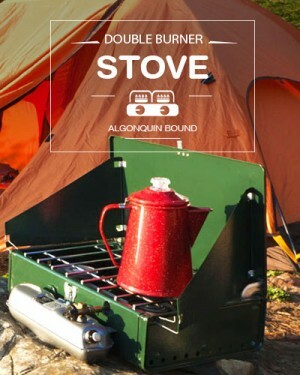 For the wilderness chef that has to cook for a group, the classic two burner stove is time tested and easy to use. This stove uses white gas or Naptha making it more economical and environmentally friendly. 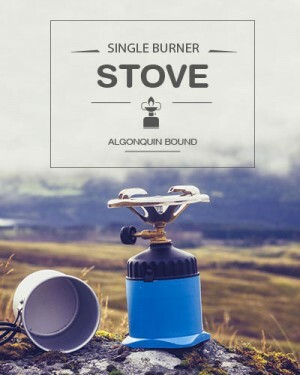 It is also perfect for canoe trips that don't require a lot of portaging or carrying since the double burner weighs approximately 7 lbs (3.2 kg). 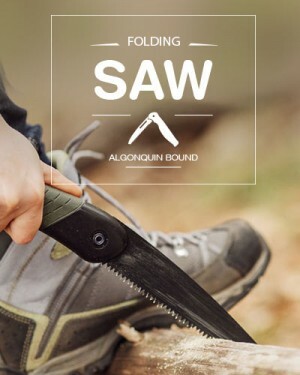 A folding saw is the perfect accessory for cutting up dry, fallen wood when camping in Algonquin Park. The compact and collapsible saw fits easily anywhere in your pack and is very lightweight. Remember to cut only dead, fallen wood to help keep the wilderness feeling that makes Algonquin Park such a memorable experience for visitors. You will be glad you brought a tarp along when the rain comes down. 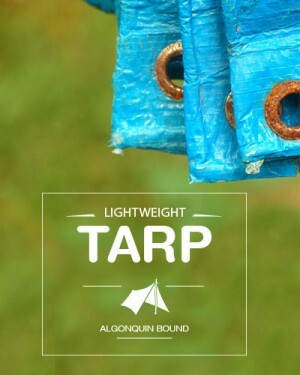 Every Algonquin Park canoe tripper or backpacker wants perfect weather, but when it mother nature doesn't cooperate a tarp will help keep things dry. Our tarps are lightweight, easy to add to your pack and are a great way to fight the wind and of course rain if the weather decides to impose on your Algonquin Park trip. Algonquin Park is one of Ontario’s most visited fishing destinations. In the spring you can try your luck for Algonquin’s famous brook and lake trout. During the summer, there are numerous lakes offering smallmouth and largemouth bass opportunities. Panfish, such as perch are also numerous in most Algonquin Park lakes. Rent a rod and have us outfit you with some tackle to try your luck! 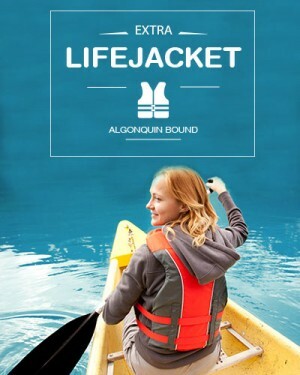 Our lightweight, Durable and comfortable Life Jackets are perfect for general boating, canoeing, kayaking, and most watersports. Available in Adult and children Sizes, we have the perfect fit for you. 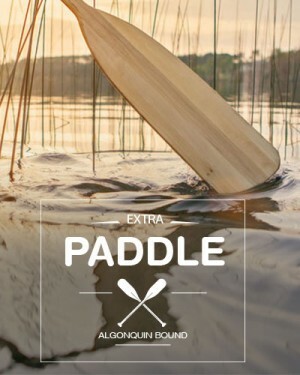 Whether you're renting your canoe from us or using your own canoe, we are here to provide you with all the extras you may need on your Algonquin Park trip including Extra Paddles. 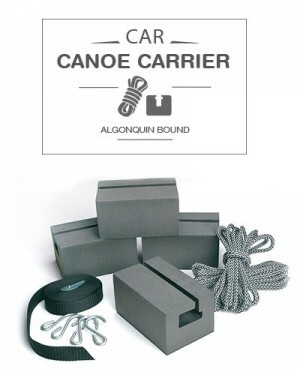 A secure, affordable way to get your canoe from point to point. The foam block cut-out is compatible with most standard factory roof racks. The blocks have a non-skid, anti-slip bottom intended for use on vehicles without racks. Their generous surface area distributes a canoe's weight evenly, for maximum stability and minimal risk of denting. Coated hook tips prevent scratches to your car's finish. A simple carrier at a simply fantastic price. Also included are straps used to secure your Canoe. 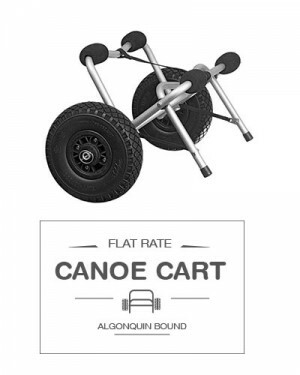 Whether you're renting your canoe from us or using your own canoe, we are here to provide you with all the extras you may need on your Algonquin Park trip including Extra Paddles. With a Flat Rate Fee, renting a paddle for 2 or 6 days will cost you the same. Enjoy a discounted Rate when you rent you canoe from one of our Algonquin Bound Outfitter Locations.